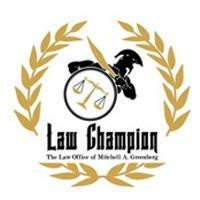 The Law Office of Mitchell A. Greenberg handles a full range of legal matters, particularly in workers' compensation. Clients in Glen Burnie and throughout Maryland, can rely on Mr. Greenberg for ethical, professional and skillful representation. Mr. Greenberg has been in practice for more than 27 years and regularly speaks and presents on the topic of workers' compensation in continuing legal education programs. Although the scope of his practice is wide, he is particularly passionate and experienced in helping clients with work-related injuries get the compensation they need to rest and recover without the added stress of worrying how they can afford to miss time from work. At his law office, Mr. Greenberg is committed to personally handling each aspect of a client's case, from the first phone call to the finishing touches. As a champion for those who are ignored or poorly treated by employers and insurers after a workplace accident, Mr. Greenberg is prepared to aggressively fight in court for his clients' compensation rights. With a full understanding of Maryland workers' compensation laws, he knows what his clients are entitled to gain and is undaunted by complex claims and appeals processes. His additional experience in the courtroom, particularly while trying and winning numerous criminal defense cases, gives him a unique advantage if a case moves on to litigation. The Law Office of Mitchell A. Greenberg accepts credit cards for clients' convenience. Those with work-related injuries can expect their questions to be thoroughly, honestly and compassionately addressed in their free initial consultation and during the entirety of their case.